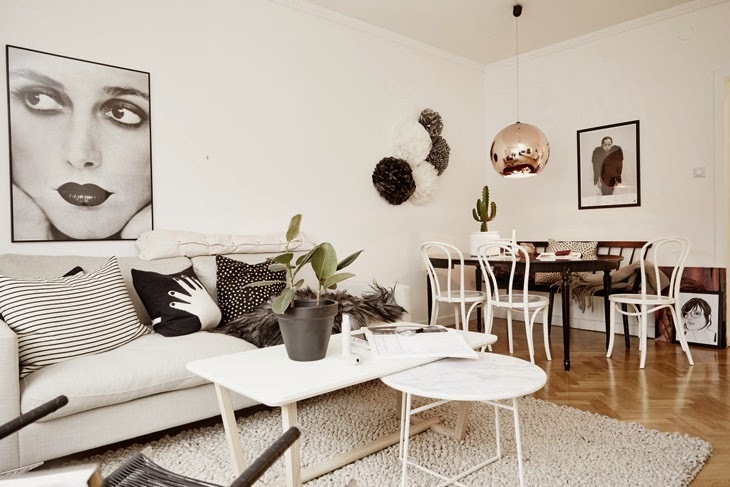 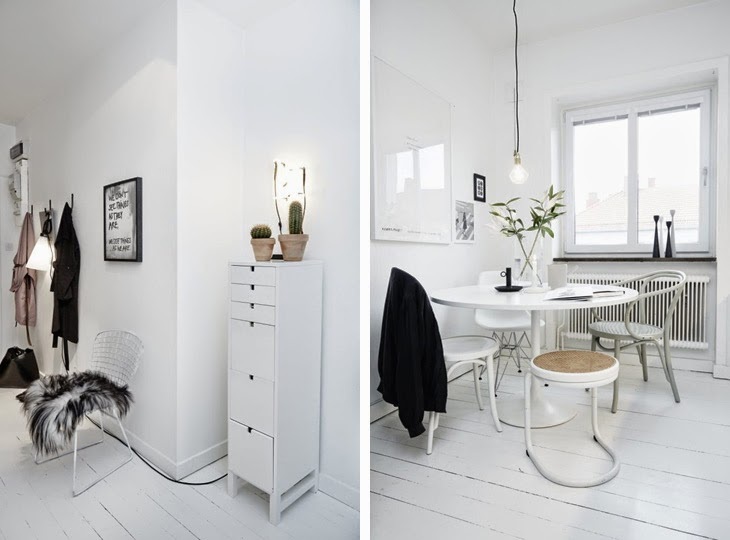 This is a wonderful apartment where white predominates in all aspects: the color of the walls, the furniture and the decoration. 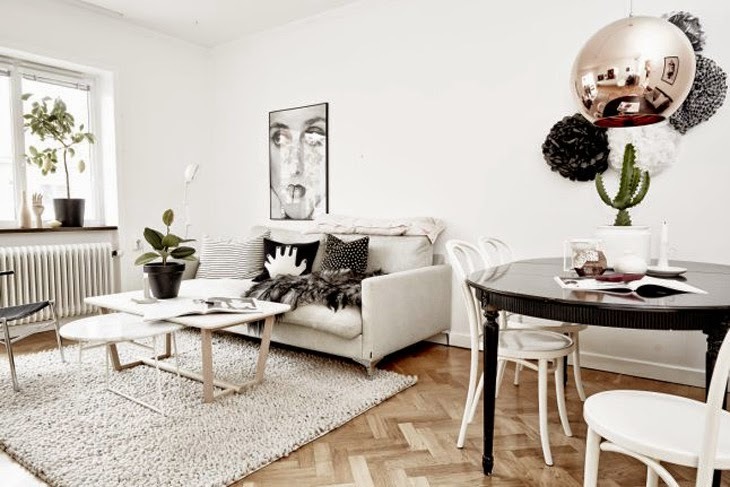 The hint of black, grey and beige lives up the space as well as the superb pendant light in the living room. 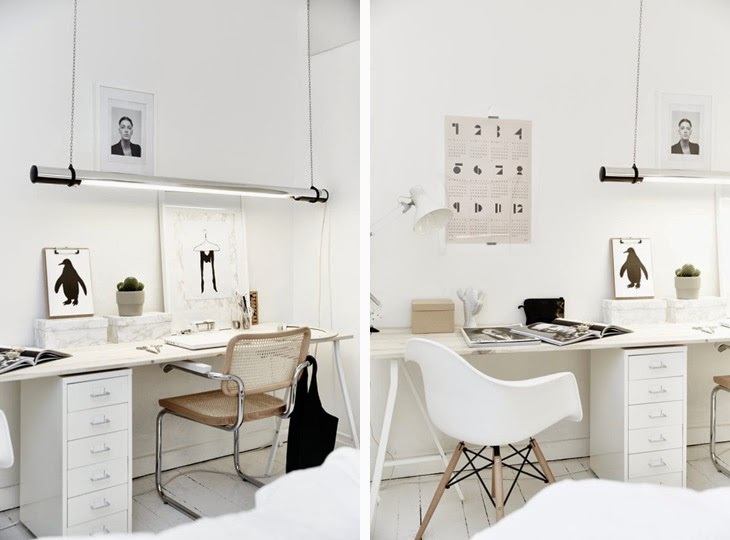 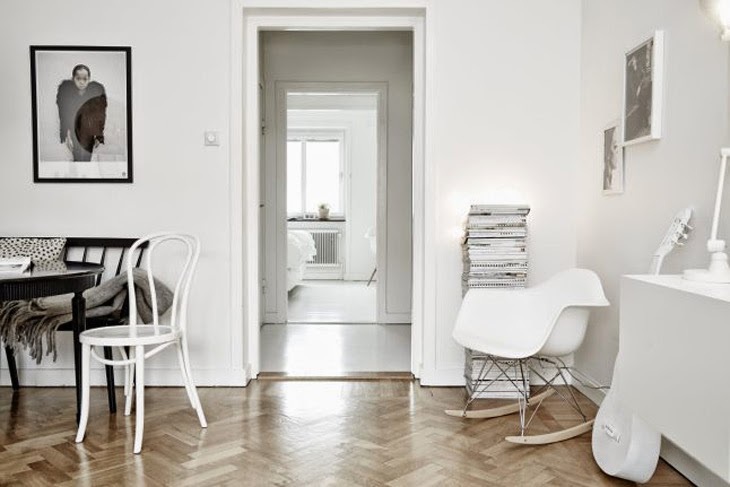 Eames' chairs as well as other famous designs make the space even more stylish.